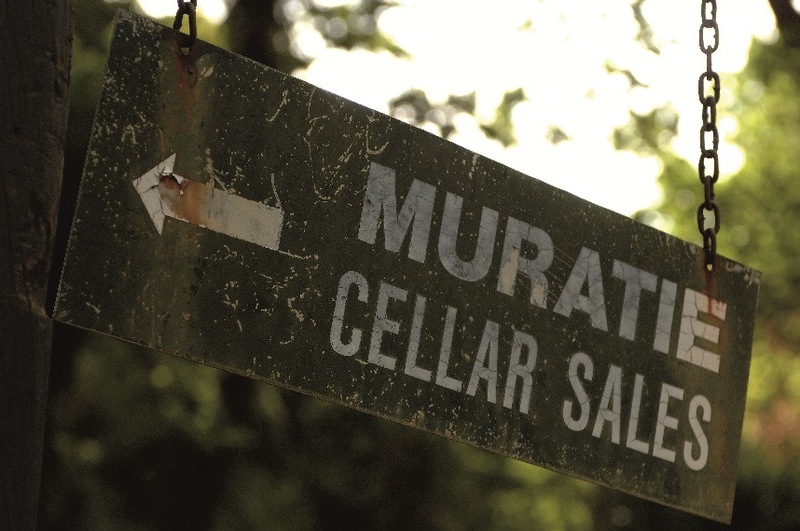 Having been granted to Laurens Campher in 1685, Muratie is one of the earliest of the Cape’s Wine Estates. Some things change at Muratie, some things stay the same. The tasting room and cellar sales rooms are exactly as they were when Muratie was farmed by the feisty Annemarie Canitz, whose father George Paul Canitz bought the farm in 1927. He was a friend of Abraham Perold and the story goes that Perold took the cuttings of Pinot Noir from Muratie at the time that he was crossing the grape with Hermitage, now known as Cinsaut, to create Pinotage. What has changed under the stewardship of Rijk Melck and the Melck Family, is that the wines have reached into the stratosphere under the guiding hand of cellarmaster Francois Conradie and the Muratie Vineyard and Cellar teams. At a lunch in the old Manor House, prepared by the chatelaine Annetjie Melck, and Kim Melck, ramp model beautiful wife of Rijk, on Friday, I was fortunate not only to eat some sublime Cape and Karoo dishes, but also to taste a range of their wines. I think what appealed to me most was that all the wines are so soft and gentle, yet distinguished and each so true to the Muratie Melck philosophy of producing fine modern wines. The wines are all named for the characters who have played major parts in the farm’s history, from Laurens Campher and his slave bride Ansela van de Caab, through George and Annemarie Canitz, to Ronnie Melck who brought the farm back into the Melck family in 1987. Martin Melck owned the farm in 1763. It is hard for me to chose a favourite, I did love the George Paul Canitz Pinot Noir 2010. The predecessors of the Ansela van de Caab 2009, I had on my winelists, when I was at Parks Restaurant in the 1990s, so it was a contender. But with the warmth of the first real day of Summer, Annetjie Melck’s homemade biltong, being in the amazing surroundings of this historic estate made me choose the Laurens Campher 2011 as my wine of the day. I loved it when it was first launched, and I love it even more now. A serious blend of Chenin Blanc, Verdelho, Viognier and Sauvignon Blanc with a sensuous undertow of tropical fruits and white flowers. Full of fruit, broad and deep and long in flavour. Perfect food wine, went well as well with Annetjies Gesmoorde Snoek as it did with her Loopdeeg Venison Pie.